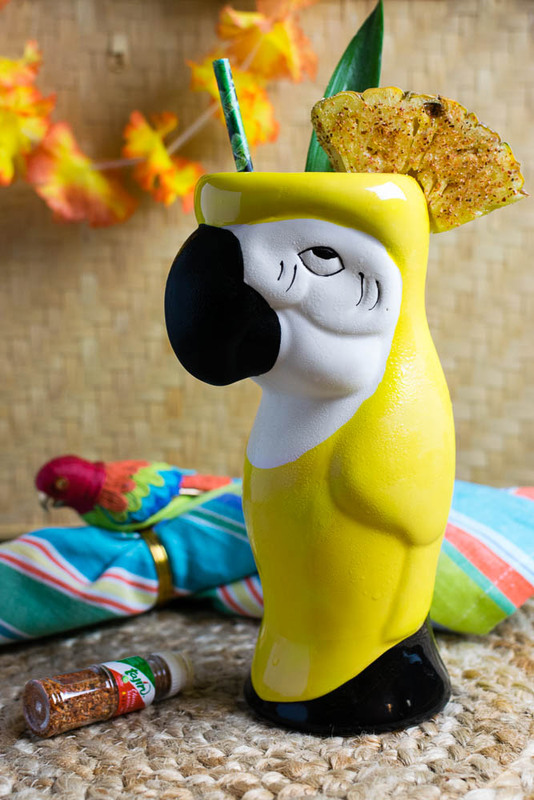 As you have seen from this week’s Enchanted Tiki Room inspired cocktails, we love Tiki Culture! We put together a small get-together for some friends to celebrate the Enchanted Tiki Room’s 54th Anniversary. 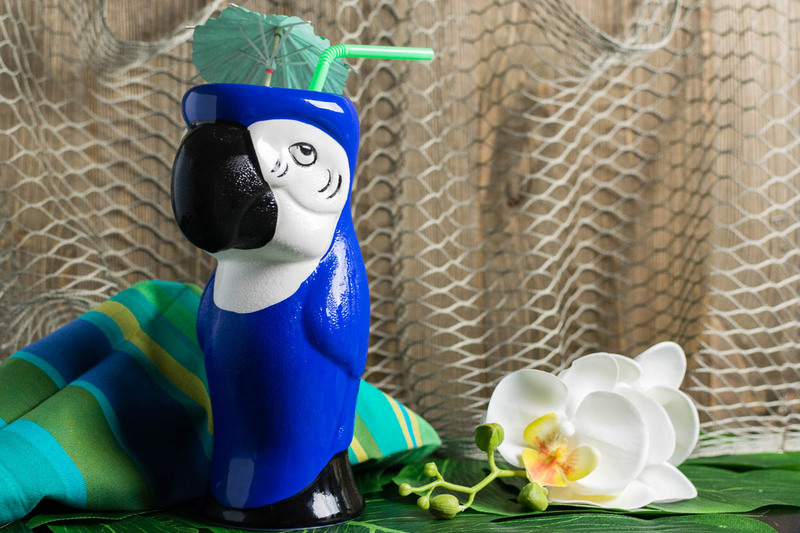 We had so much fun planning it that decided to create a guide for planning your own Tiki Party! Decor is probably the best part of throwing a Tiki Party. Tiki mugs, coconuts, and palm leaves are all staples. Also, bright tropical floral patterns can make your guests feel like they are on a sandy beach somewhere. 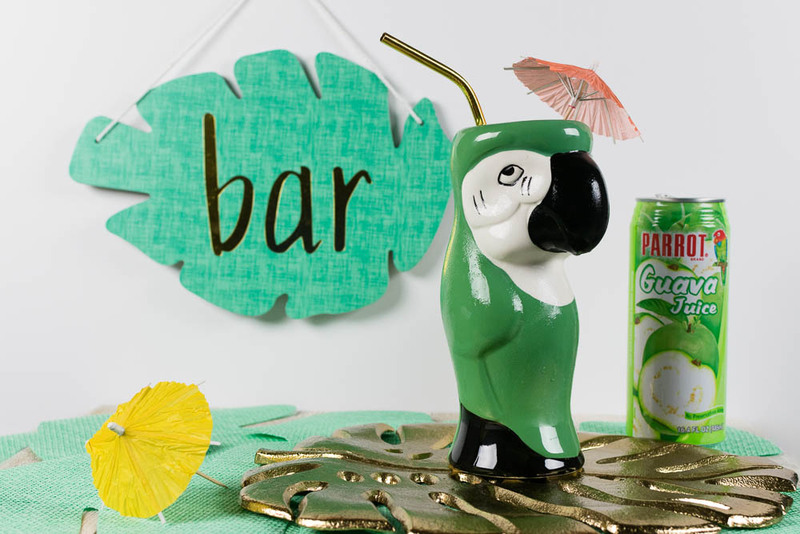 During the summer months, stores like Party City and any of the Dollar Stores tend to carry tropical and Tiki decor. We have also had success at Home Goods and Pier 1. 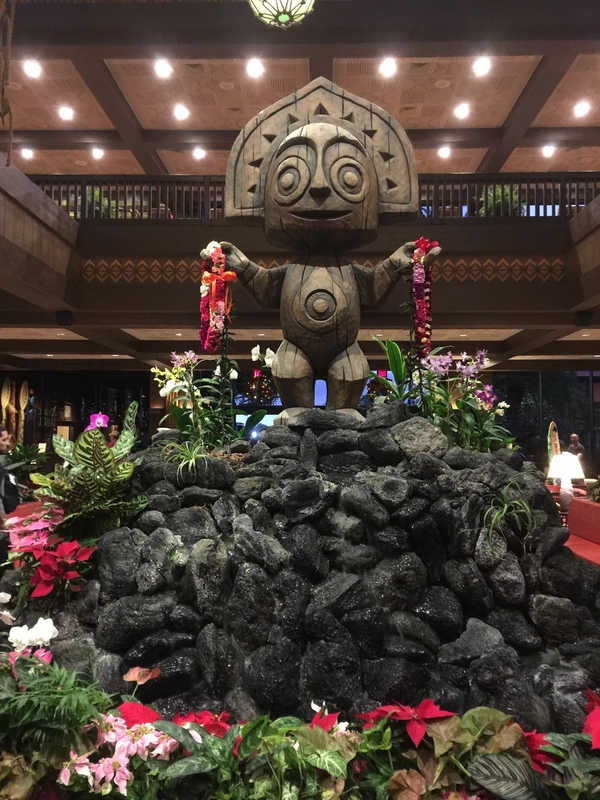 For music, Spotify and Pandora have several Tiki or Luau options that work! Jose’s Show Starter– This cocktail features rum and mezcal. This sweet yet smokey cocktail is not only a great Tiki Drink but a fun way to introduce people to mezcal. Michael’s View From Above– Michael’s View From Above is a different take on a Tiki Drink. This specific one uses whiskey and rum. The whiskey and spiced rum combo makes for a Tiki Drink that any whiskey fan will love. Fritz’s Wunderbar Trick– Fritz’s Wunderbar Trick was perhaps the most difficult cocktail in this series. We used Bärenjager as our German spirit. This is definitely perfect for the adventurous drinker. 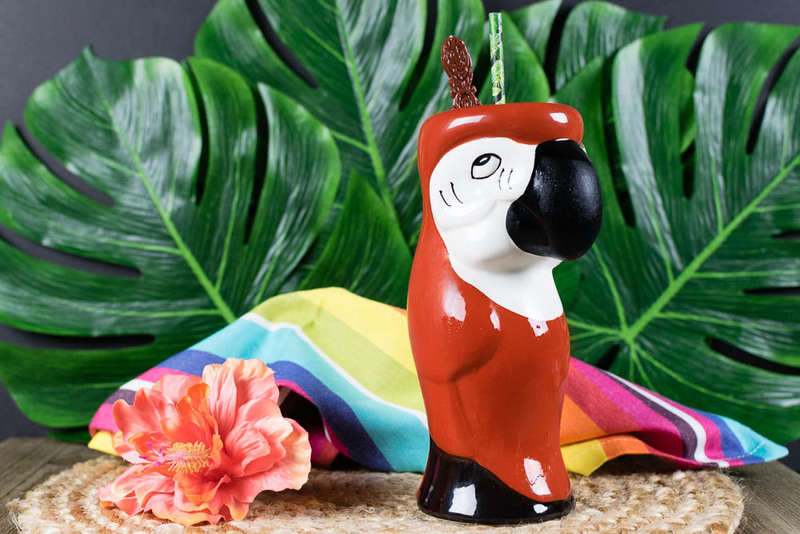 Pierre’s Whistle– The final cocktail in our Enchanted Tiki Room series, Pierre’s Whistle is the only one of our Tiki Drinks to feature no rum. So if rum isn’t your thing, this one is for you. 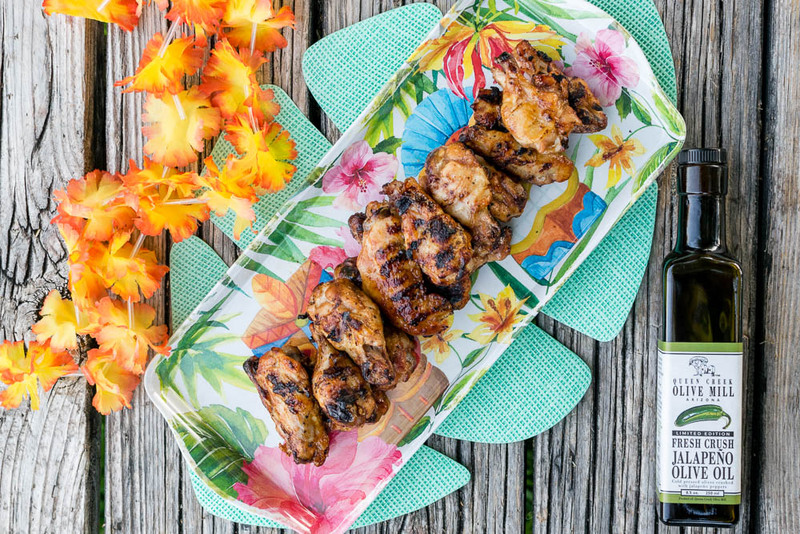 Jalapeno Pineapple Teriyaki Grilled Wings– Pineapple is such a prominent tropical flavor that these wings are perfect for a Tiki Party. The Jalapeno Olive Oil gives them a spicy kick! 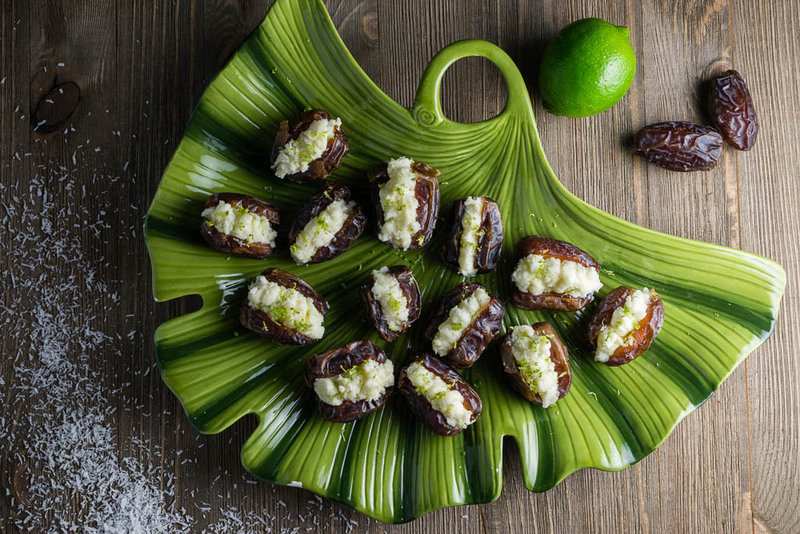 Coconut-Lime Stuffed Dates– Another well known tropical flavor is coconut! When we created this recipe for Moana we loved emphasizing the use of coconut and these sweet treats will delight! 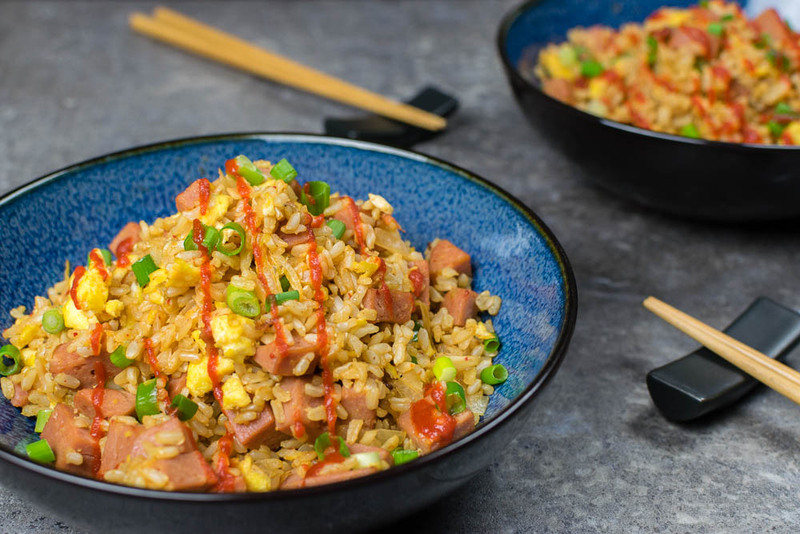 Lightened Up Spam and Kimchi Fried Rice– Looking for something a bit more filling and little less bite sized? Our Spam and Kimchi Fried Rice will fill you up! Prosciutto Pineapple Bites– Below is a brand new recipe! 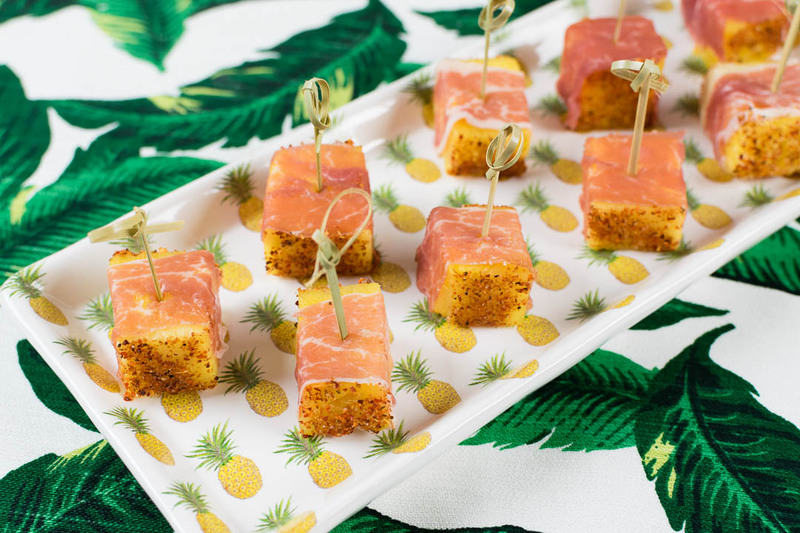 Our Prosciutto Pineapple Bites feature not only pineapple but also Tajin . Tajin has recently gained popularity in the Disney community as a delicious topping for Dole Whips! 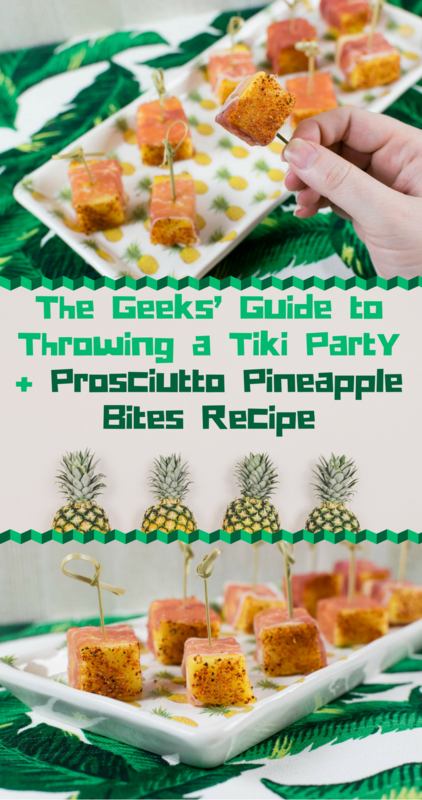 We hope our Geeks’ Guide to Throwing a Tiki Party helps you throw and an amazing party this summer! Be sure to leave a comment below if you have your own tips! Also, tag your photos with the hashtag #GeekEats! We can’t wait to see them! Wrap each pineapple cube with a piece of prosciutto. Dip each exposed end with Tajin. I have had prosciutto and melon bites before but never prosciutto and pineapple. Sounds like a tasty twist on a famous party food. Never tried prosciutto and pineapple? Never tried that combination but I bet it taste yum. Can’t wait to try that combination. That looks like so much fun! I love the combination of salty and sweet, pineapple and prosciutto sounds great! What a fun idea. I could really get into this theme party. And when it comes to prosciutto — it just makes anything taste better. I think the salty sweet is the perfect combination. Great appetizers! Now, this is my kind of party! This is such a fun idea to have on the dog days of summer where all you want to do is sit by the pool and snack on good food with friends, yum! This is great party love all the decor and food.Prosciutto and pineapple is wonderful combo with Tajin. I like to eat fruit with Tajin.